A solid score of 10 was given to the Maha Push & Twist V on Cycling Weekly. Features from top to bottom all received individual compliments, including the base, the gauge, the hose and of course the Push & Twist head. 'The design works really well and is simple and easy to use' were the exact words used in the review. The best part? Cons: none. 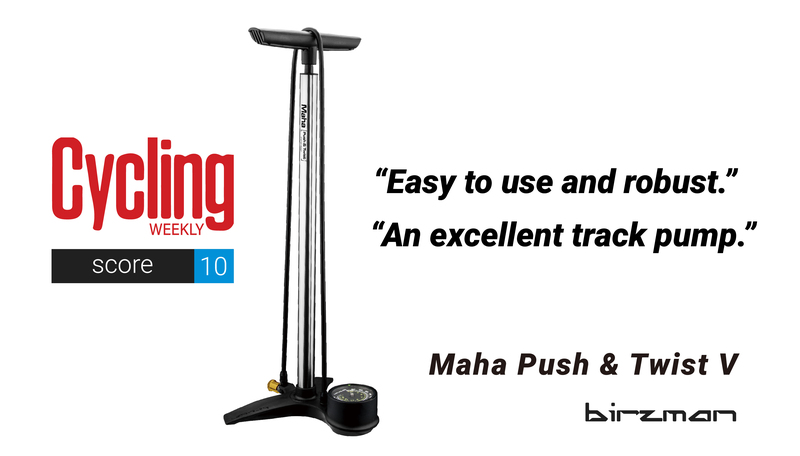 The Maha Push and Twist V is an excellent track pump that builds on Birzman’s quality features. It’s easy to use, with the push and twist head making an easy, fast connection to the valve and the large gauge allowing accurate pressure reading.